For those of you foodies out there who are familiar with the Asian-European fusion chef Ming Tsai, you probably know of his first restaurant called Blue Ginger. Located in the quiet suburb of Boston called Wellesley, when the restaurant first opened in 1998, it drew rave reviews for its exceptional and (at the time) new fusion type of food. People would come in from all around the country to try this place and its blend of French and Asian flavored cuisine. Hawaiian Bigeye Tuna Poke with Crispy Sushi Rice Cake and Microgreen-Tosaka Salad – This was probably the favorite dish of the night (including the entrees). It was a strange, but very tasty combination of a huge hunk of sushi style tuna on top of what could be best described as a hot, sticky-rice tater tot. The crunchiness of the rice cake with the soft, light tuna made for a really delightful appetizer – one which I would have been happy having a couple of as the main course. Blue Ginger Charcuterie Plate – Duck Prosciutto, Foie Gras Torchon and Country Pâté – This is where the French influence comes out. The arrangement of the platter was well done and I thought the extremely rich foie gras was the best of the group. The platter also came with a really good spicy mustard that went well with the prosciutto and pate. I wouldn’t bother too much with the random Texas toast that came with the plate; instead I’d opt for spreading the pâté and foie gras on the sesame seed crackers that are on the table when you first sit. The Texas toast was just too buttery and took away from the flavors of the expensive stuff. Sake-Miso Marinated Sablefish (a.k.a. Butterfish) with Wasabi Oil, Soy-Lime Syrup and Vegetarian Soba Noodle Sushi – This butterfish is considered Ming Tsai’s signature dish, and I could see why. Of the three entrees we had, it was easily the best. There wasn’t anything too fancy done with the fish and you’d probably be able to find a similar dish at a number of restaurants, but they do get points for perfect execution. It was cooked exactly the way it should have been – a nice, light char on the outside and light buttery meat on the inside. They did try and get cute with the Soba Noodle Sushi side, but I didn’t actually care for that all that much. Garlic-Black Pepper Lobster with Lemongrass Fried Rice and Pea Tendril Salad with Tamari-Ginger Vinaigrette – The waitress said this is also a favorite of customers coming to Blue Ginger. Lobster is never bad, so I’ll say that while it wasn’t disappointing, there was just a little too much garlic for my taste getting in the way of the lobster. I’m sort of a lobster traditionalist where I want just the meat and a little butter, or a plain ol’ lobster roll. Again, that being said, just because it wasn’t my cup of tea doesn’t mean it wasn’t very delicious. Seared Duck Breast with Sweet Wasabi Sauce and Applewood Smoked Duck Leg Wild Fried Rice with Shiso-Bartlett Pear Purée – This third entree was probably the most “eh” of the three. The flavor of the duck was very pronounced which saved the dish, but the meat was a little too tough/chewy and the skin wasn’t crispy enough for our taste. If they had slow cooked the duck a little more like Peking duck style, it could have easily been the best of the three. Taking a quick break from the Israel postings for a bit here, you may recall that I’m always looking for write-ups from readers such as yourself. 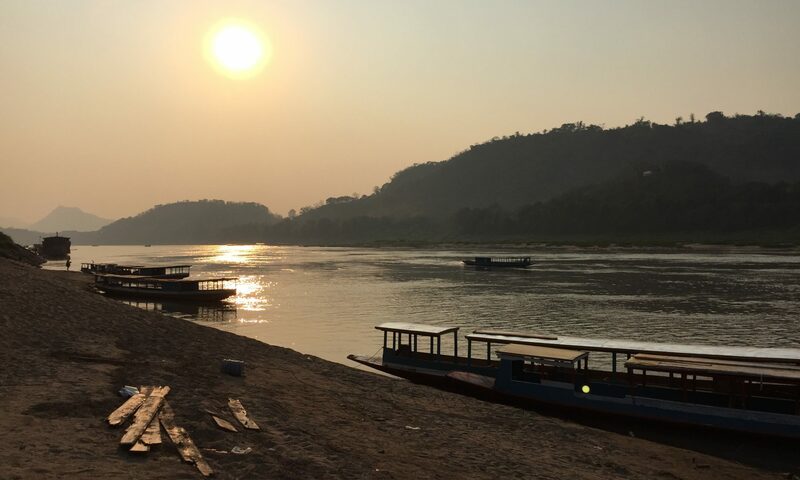 This blog is meant to be as comprehensive as possible and I love it when you folks are as enthusiastic as I am about traveling! With that, one of my best friends was kind enough to share his thoughts on what are arguably the two best pizza joints in Boston. You can call him the “Boston Guide”. Having lived in Boston all his life, he certainly knows what he’s talking about (especially when it comes to food) and I fully support his reviews having been a patron at both pizza places myself as well. Buon Appetito and thank you again “Boston Guide”! 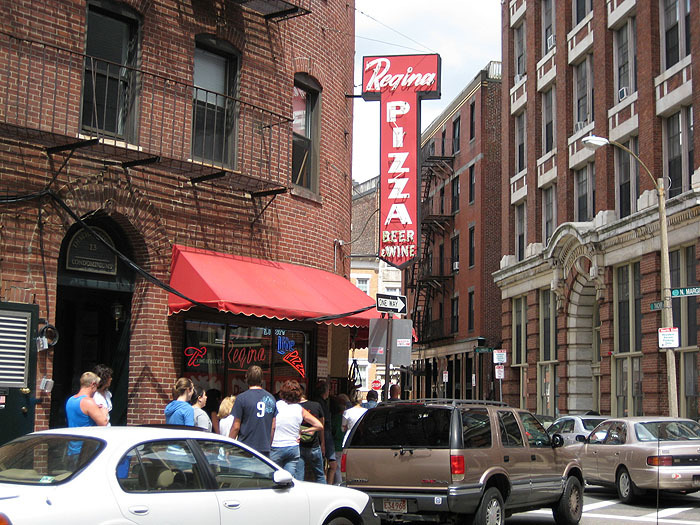 Boston may not have a namesake pizza “style” like New York or Chicago, but if you’re looking for a pie that defines the local style on your next visit to Boston, check out Regina’s or Santarpio’s. Regina’s and Santarpio’s specialize the same general type of pizza. Both serve up thin crust pies perfectly charred in wood ovens – crispy on the outside and fantastically doughy on the inside. The tomato sauce is light, tangy and sweet. Topped off with sharp, salty cheese. Deciding which place you like more really comes down to the details. I’m not going to try to pick a winner here because both places are awesome. Instead, I’ll give you the information you need to decide which works best for your next trip to Boston. Of course, you can’t go wrong with both. 1. This is a review of the Regina’s in the North End – not the Regina’s branches. There are a bunch of Regina’s branches scattered around town (South Station, Prudential mall, etc.) that don’t hold a candle to the original. Skip the branches. 2. Don’t try to go to Regina’s during peak hours. Regina’s is a tourist attraction in a touristy section of the city. Don’t let that scare you away from Regina’s or the North End – you should check out the North End when you visit Boston – just understand that if you show up at Regina’s during meal times you will be standing in line out on the street for a while. 3. Both Regina’s and Santarpio’s have bars, so you can wash down your pizza with beer or wine. 4. 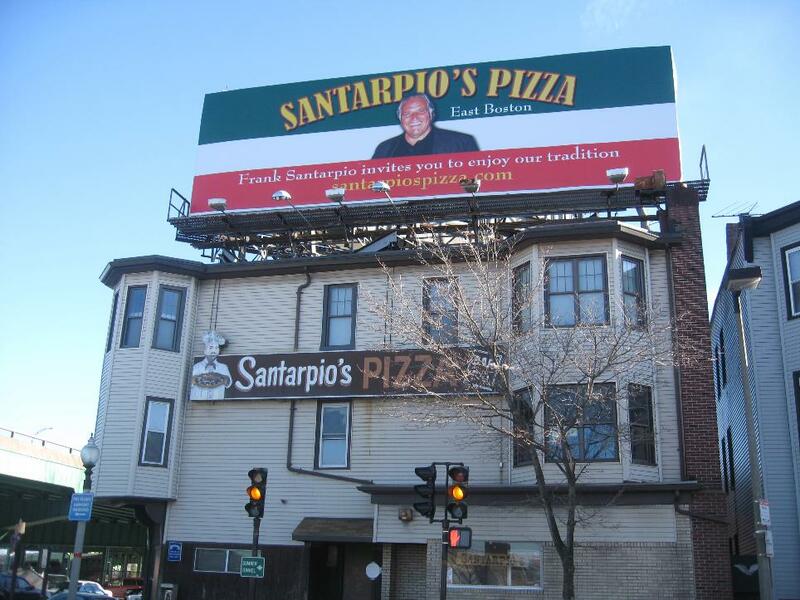 Go to Santarpio’s if you’re looking for: a meal on your way in or out from Logan Airport (it’s just minutes away from the airport by car), the best sausage pizza in the city, a heartier slice, or local Boston flavor. 5. Go to Regina’s if you’re looking for: a meal in the North End, the best pepperoni pizza in the city, variety on the menu. In overly simplified terms, Santarpio’s is the heavier, heartier pizza. The crust is heartier, more charred. Whereas Regina’s dusts their crust with a light flour, Santarpio’s trademark is a coarse cornmeal crunch. Check out the legendary, delicious sausages cooking over open fire by the entrance. Similarly, the Santarpio’s experience is a bit rougher around the edges. Whereas Regina’s is packed with tourists, Santarpio’s is all local. Expect: servers with thick Boston accents and some Boston attitude, local youth hockey teams eating after practice, the guy in the booth next to you talking about the “top 5 coldest Pats games” he’s ever sat through. Regina’s plain cheese slice is just about perfect – light, crispy, salty and sweet. The menu also includes all the standard topings, as well as a variety of specialty pizzas. I prefer to keep it simple – I think that lots of toppings can take away from a great slice – but Regina’s provides more variety than Santarpio’s if that’s what you’re into. As mentioned above, Regina’s is a popular tourist destination. Don’t expect anything fancy though. Regina’s is still a no-frills pizza joint. Expert Order: Pepperoni pizza (well done), white pizza (this pizza doesn’t include Regina’s awesome red sauce so make sure you get the pepperoni as well). If the line at Regina’s is too long, or if you’re just looking for a quick slice to carry out, Ernesto’s in the North End is a perfect alternative. Choose from a wide variety of pies and keep in mind that Ernesto’s slices are HUGE. For the full experience, carry out and eat in nearby Christopher Columbus Park with great views of Boston Harbor.